The exhibition of his eponymous “Three Studies for Figures at the Base of a Crucifixion” in 1945 catapulted him into the echelons of not only the most talented and ambitious painters of the modern age but also into the pole position in terms of controversy. His works is said to not only be intriguing to the eye but its intensity is fabled to have a tangible impact on your sensorium. With a solid track record of having covered other artists, e.g. David Hockney, Ana Pacheco and Picasso’s oeuvre, curator and author Andrew Brighton sheds light on the genesis of the artist known as Francis Bacon and his standing in the queer world of the bohemia. 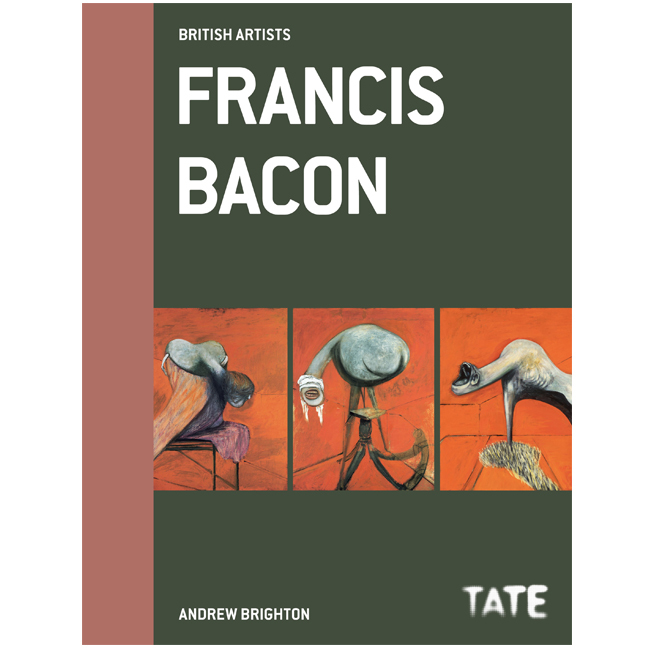 Andrew Brighton’s approach is informed by an astute perception of what made Bacon’s work and the external factors that influenced it – be it mundane or more profound ones. Bacon is widely known for his giant canvasses spilling out nightmarish visions and contorted bodies in their raw and fleshy glory. Arranged in chronological order, the book glues together the most important paintings from the Bacon's turbulent life, including his portraits of Pope Innocent X and his other inspiring triptychs, which became a source of inspiration for nightmares with depictions of the reduction of the human body to raw flesh..
A book that expounds the values and meanings that can be ascribed to Bacon's work, discusses criticisms of Bacon by distinguished critics and philosophers and serves both as a great introduction and companion for connoisseurs into the monumental legacy of what has rightly become an icon of British culture and the underlying manifold reasons for his fame and timeless relevance.